Mini-DebConfs are community-organized events to help people interrested by the Debian project gather, share and work together. They are much shorter, simpler and more frequent than regular yearly DebConfs. Mini-DebConf Marseille 2019 will take place during the weekend on May 25th-26th in the sunny city of Marseille, France. 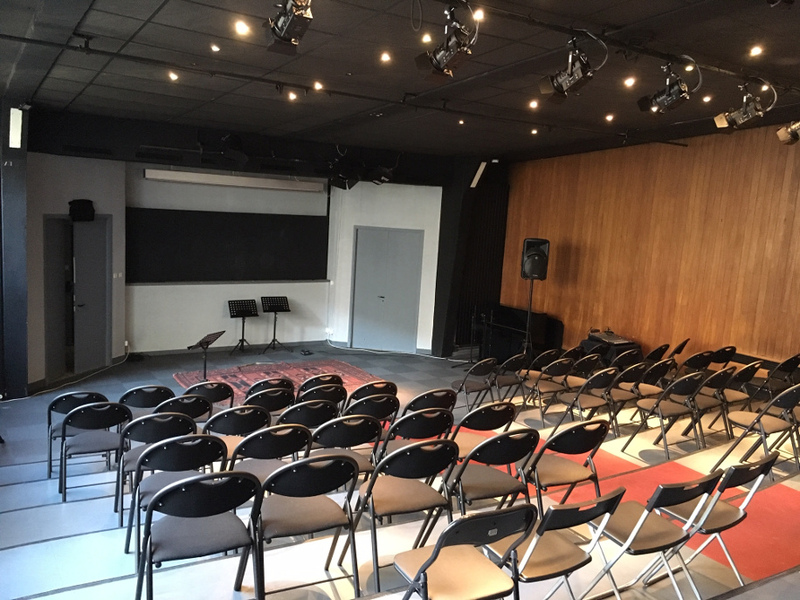 The event will take place in La Maison du Chant (The House of Singing), a singing and music school. There is a theatre where 60-80 people can sit, a lounge with a wooden bar, and a few places to hang around. It is located in downtown Marseille (49 rue Chape, 13004 Marseille), at walking distance from the train station and public transportation. Tram: line T2, "Longchamp" or "Cinq Avenues" stations. Subway: line 1, "Cinq-Avenues Longchamp" station. There are also a few hotels recommendations. All proposals must be submitted before Monday April 21st 2019 to be evaluated for the schedule. Confirmed speaker can ask for a Debian sponsorship, covering travel expanses. Detail schedule will be available later. Here are the main moments. Staff members will be at the venue to welcome people who want to arrive early. The video team will setup its gear in the theatre room, with appreciated help from any volunteer. The local Provence Linux Users Group will have its meetup at the venue in order to help the local tech community and the broader Debian community to meet. During those meetups, attendants bring their drinks and food to share : alcool or soft drinks, snacks… Later they order pizzas for those who want have some (everyone pays for its half pizza). For this event, the Mini-DebConf organizers will provide part of the drinks, snacks and pizzas. Key-signing party, more details on the wiki page. Food constraints will be detailed as soon as possible to help organize, but gluten-free, vegan… options will be available. The event wiil take place at a local beer place : La Cane Bière. The first drink will be paid by organizers. If you don't want to drink beer, you can tell in advance and we'll try to organize other alcoholic or soft beverages. A day-trip will be organized for people who want to visit Marseille and/or its surroundings. Nothing is organized yet, any ideas or wishes are welcome. A brown bag lunch will be provided for the day-trip participants. Those who's rather stay at the venue will have some room to continue hacking or socializing. The equivalent of the brown bag lunch will be provided for them too. The video-team will need a hand to pack the video-gear. Any help in organizing this event is appreciated. A list of things to do is available in the repository.